We're sharing some of our favorite public art pieces that are located in the Golden Triangle, follow the map and read along below! Public art is part of the everyday landscape in most cities, and as residents, we walk past many of these pieces every day. However, these pieces too often disappear into the landscape and we forget to stop and take them in. 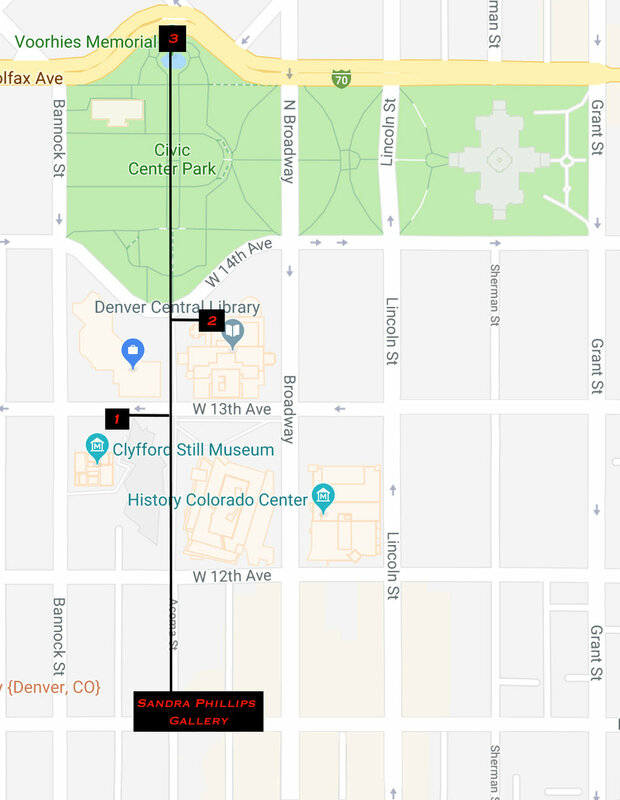 The intentionality of many public art pieces is to question and contribute to civic identity, follow along with Sandra Phillips': Walking the Triangle below to explore the history and meanings of some of Denver's public art pieces in our neighborhood. The large scale and electric blue color of For Jennifer by Joel Shapiro perfectly compliments the minimalist style of the Clyfford Still Museum, as well as the angles of the Denver Art Museum's Hamilton Building. The sculpture was created by Joel Shapiro in honor of Jennifer Moulton who served as Director of Planning and Development, City and County of Denver, 1992-2003. Moulton envisioned the Civic Center Cultural Complex as we see it today, although she passed in 2004 prior to the completion of the DAM's Hamilton Building. For Jennifer honors Moulton's dedication to Denver's cultural growth, and stands between the Clyfford Still Museum and the Denver Art Museum to celebrate her work and vision. The Yearling by Donald Lipski has been voted Denver's Favorite Public Art Piece, been a question of jeopardy, and is loved by John Hickenlooper so much that he moved the original horse into his office. The large scale and playful aspects of The Yearling compliment its location outside the Children's Wing of the Denver Public Library. The sculpture was originally commissioned by an elementary school in upper Manhatten. The school asked the artist to remove the horse, and he refused stating that "it just lost all its magic." The sculpture was then moved to Central Park in 1997 and then moved to its permanent home in 1998. Donald Lipski hopes that The Yearling inspires wonder in viewers of all ages with its playful narrative and large scale. The third stop on Walking the Triangle is Circle of Animals/Zodiac Heads by Ai Weiwei. This piece is visiting Denver until October 17th, 2018, so be sure you see it before it leaves! 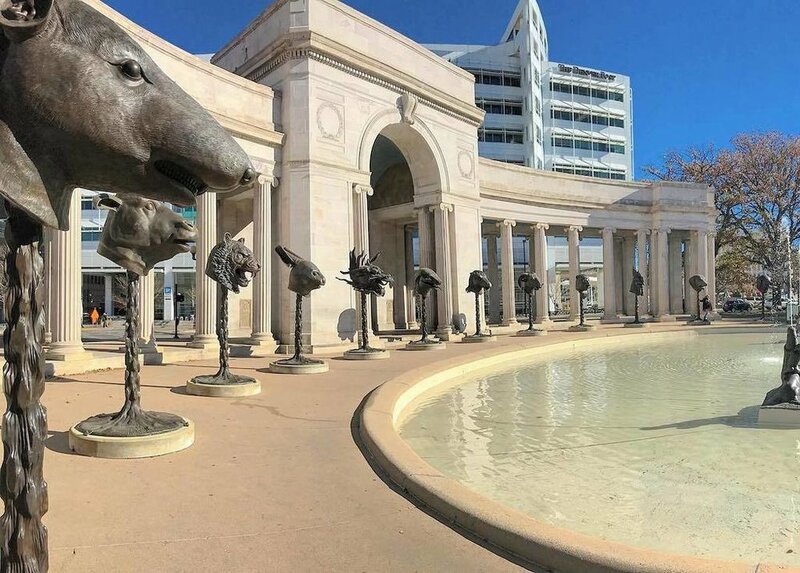 This piece is Ai Weiwei's first public art piece and it is a reinterpretation of the twelve zodiac heads that once adorned the fountain-clock of the Yuanming Yuan at the Old Summer Palace in Beijing. The original heads were sacked from the Old Summer Palace by British and French soldiers in 1860. For many Chinese, the loss of the original zodiac heads symbolizes "The Century of Humiliation" that China endured at the hands of Western and Japanese invaders starting in the late Qing dynasty. Mr. Ai's Circle of Animals/Zodiac Heads is a commentary on public memory and the manipulation of history. In recent years, the Chinese government has used the story of the loss of the Zodiac heads as a way to generate nationalism under the Communist Party. 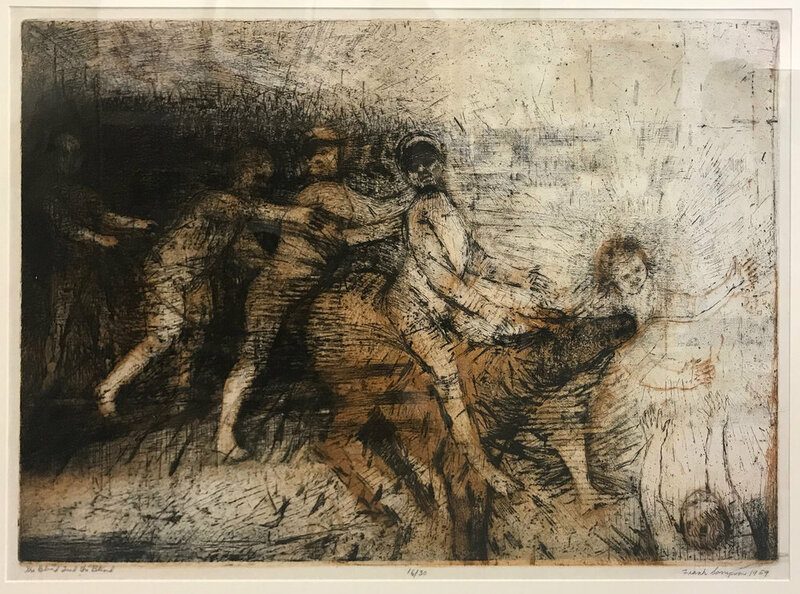 The piece evokes questions of nationalism and questions the accuracy of history as it is presented to us, the last day to view the piece is October 17th, 2018, don't miss it. Congratulations and special kudos to artist Anna Kaye, the instigator, curator and organizer of three iterations of the "Pink Progression" exhibits at the Boulder Canyon Library, the Denver Public Library and now currently on view at the Center for Visual Art, Denver, CO.
Anna Kaye and CVA curator Cecily Cullen have created a visually riveting and powerful Pink Progression exhibit not-to-be-missed! As an art dealer, gallery owner, art historian and educator, I have developed a lifelong passion for the study and genuine love of art. I truly believe that understanding art and art history exposes us to an exciting range of disciplines and most importantly, deepens our capacity for learning about each other and other cultures. When we study art and art history, we are invited to look at our current cultural practices and to step back in time, sometimes hundreds and thousands of years. Art is truly a journey across cultures. We live in a visual culture and are immersed in images that we create and consume at a dizzying pace. Experiencing and appreciating art is even more important as we live our lives in the visual media of online platforms. Art and visual culture are a part of who we are as humans and how we connect with each other. Archeologists theorize that there was art making early in our history. Imagine the Paleolithic men and women who struggled to meet basic functional needs like finding shelter, food and safety. And yet, amidst the chaos of pre-historic life, these humans seemed to have a deep motivation to express creativity and beauty and to explain their world through visual expression. This passion has been present in every known culture in human history. Pretty amazing to think about! 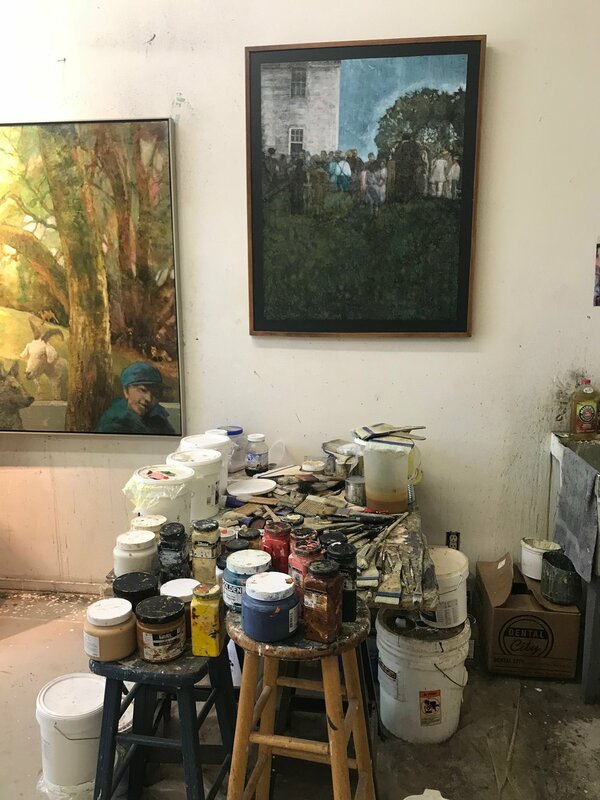 In the process of making art, humans have continually discovered new, innovative ways to transform pigments, fibers, clay, and metals into self-expression. Artist Anna Kaye creates charcoal drawings on paper to raise awareness and educate us about Colorado wildfires. Charcoal drawing by Anna Kaye "Inhabit"
Stop by soon and see the innovative ways the artists of the Sandra Phillips Gallery are making art! Let me help you find the perfect work of art for your home or business. Don’t miss our upcoming artist series of interactive Art Talks! Saturday April 21, 2018, 1 pm, at the Sandra Phillips Gallery.